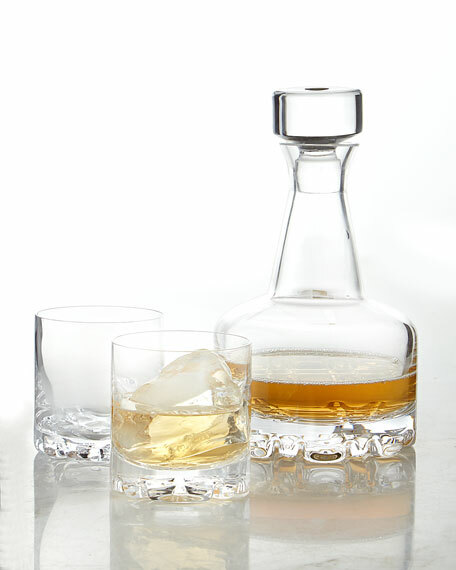 Set includes decanter and two double old-fashioneds. Decanter, approximately 5.25'Dia. x 9.25"T; holds 26.5 ounces. Double old-fashioned, approximately 3.5"Dia. ; holds 11.5 ounces.